We are about to enter into a season in our country that has many people fearful, excited, uncertain, hopeful, angry and joyful. This list of emotions represents the emotional rollercoaster I have personally been on these past few months. The barrage of feelings is something that this article calls the “Trump Slump.” If this is such a thing, how do we prepare ourselves for it? I teach and train thousands of people all across this country to stand and fight for what Dr. Kind called the “Beloved Community” using the principles of nonviolence. Congressman John Lewis stands for our country and the idea of the Beloved Community today. He knows that we can walk in love towards each other and fight for a community that respects and values each other’s differences–one that can work through conflict with maturity and understanding. Representative John Lewis took a beating on the Edmund Pettus Bridge in Selma, Alabama, not just for African Americans’ right to vote, but to hold this country accountable to the values of granting constitutional rights to all people. We now, I believe, have a president and other political figures that are fighting desperately against this Beloved Community. The unethical and un-American behavior of the President and other political figures that attack the Beloved Community can make it seem impossible for us to be unified. How do you inspire the possible in the face of what seems to be impossible? How do we demonstrate love in an environment of hate? I am encouraged and hope that you will be, as I see how we can defy the systems of hate, division, violence and injustice by applying the principle. I am encouraged because John Lewis knew what it was like to face a harsh racial climate but saw Black, White, Jewish, Protestant, Muslim, Asian, Hispanic and Native people come together like they never had before. This unity would not have happened without the resistance from the system. Selma needed a Jim Clark–a hothead who would use his billy club to beat nonviolent protestors and manifest the deep hatred that already existed. 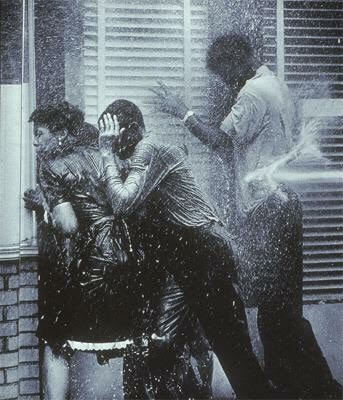 Birmingham, Alabama needed a Bull Connor who would resist change by using dogs, jail and water hoses against children and nonviolence protesters. Because in so doing, he brought to light the bullying nature of the system. The system that would seek to divide ended up uniting communities, cities, and people like never before. The system that would want to stir up hate instead stirred a love powerful enough to put the hate out. The system that would seek to kill brought life and a greater relationship between thousands across the country. John Lewis knew that they were attacking the system and not the people. It’s a principle that he was trained to apply towards the system that Jim Clark and Bull Connor were being used by. This is how we inspire the possible in the face of what seems impossible. We defy the system by loving when it tells us to hate. Defy the system by uniting when it tries to divide us as a nation of diverse people. Defy the system with justice when there is injustice anywhere. Defy the system with nonviolence when it pushes us to be violent. I urge you today, tomorrow and the next day to DEFY THE SYSTEM!